Phil and Katherine Foster farm 250 acres of C.C.O.F. and I.F.O.A.M. 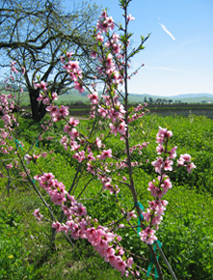 certified organic fruit and vegetables on two ranches near San Juan Bautista and Hollister, California. We have a diverse range of crops, marketing up to 60 produce items at the peak of the season. We sell at the farm on Saturdays, at farmers markets, through local retail stores, local wholesalers, and several national wholesalers. We strive to maintain the Pinnacle label's high quality by treating our workers, our products, our land, our community and our planet with utmost respect.